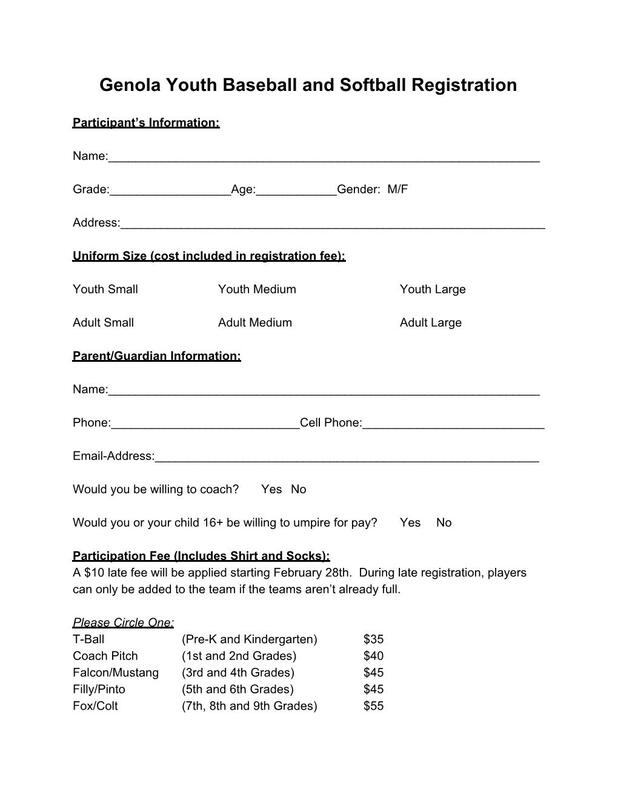 Genola Recreation: 2017 Baseball Sign ups! Believe it or not it is time for Baseball Sign-ups! 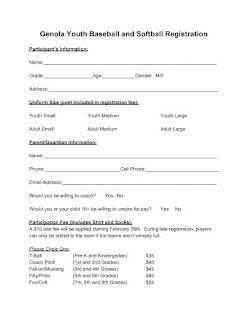 Please register your child(ren) between January 15-February 27 at the Town office. I'm sorry, at this time we will no longer be accepting online registration. But you may print the Registration form and fill it out at home, place it in an envelope with your registration fee, and drop it in the drop box at the office any time day or night, or into the office M-TR 9-3 or F 9-12. Please fill out one per child and make note on your check which child(ren) you are paying for. We are in need of Umpires! We pay! Please contact me for more information. We need experienced teens ages 16 and up and adult Umpires. Click here or use the JPEG image below.